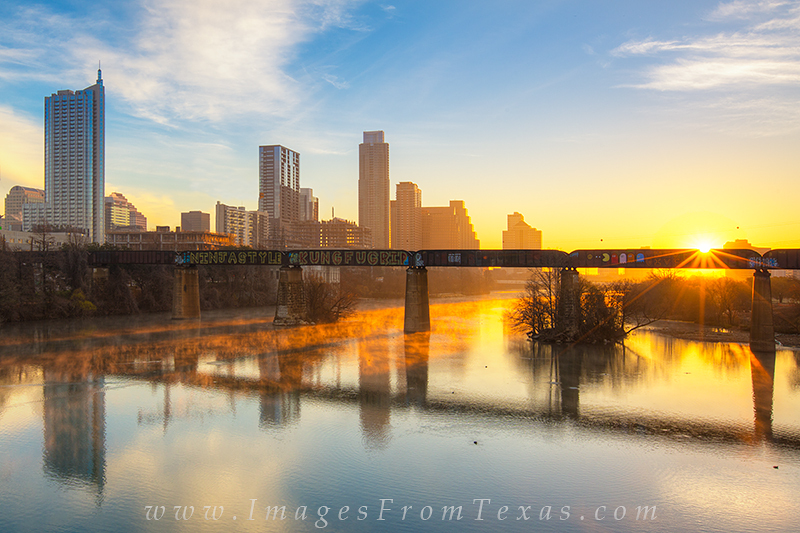 From the Pedestrian bridge that spans Lady Bird Lake, this is a January sunrise on a beautiful, cool morning. I did take the liberty of removing several cranes from the skyline in this photograph. I loved the sunlight streaming down the water and illuminating the morning fog. Photo © copyright by Rob Greebon.